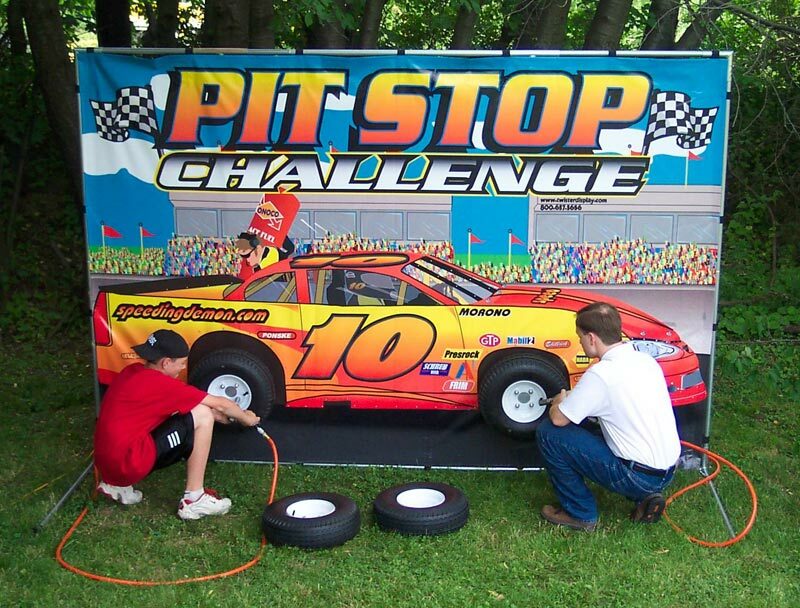 Pit Stop Challenge brings all of the energy and excitement of Stock Car Racing to any party or event. Challengers race against the clock in a frantic effort to have the fastest change. Let your employees see who can get the best time. Give a prize to the winner! Kids love to get their hands on the air impact wrench. Graphics of the race car will enhance any event. Perfect for any automobile related business. Tire Shops, Auto Dealers. Have a DJ show up with Pit Stop Challenge and invite the public to take the challenge to beat the time and win a prize. 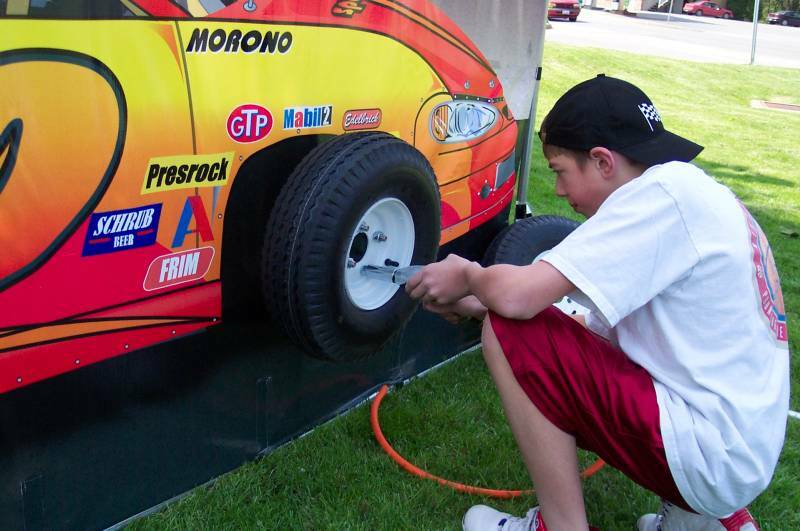 Add some excitement to your next car cruise with Pit Stop Challenge. Pit Stop Challenge will keep the students entertained all night as they try to get the best time and become the Pit Stop King.